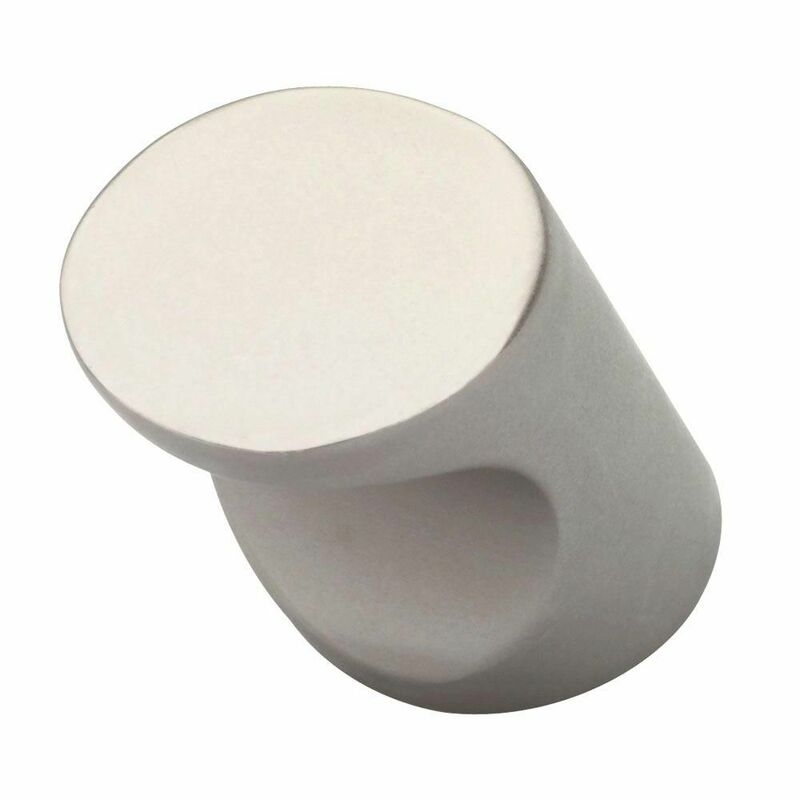 Tower Knob, 1 per pkg This hardware offers clean and elegant lines and is a beautiful addition to kitchen or bathroom cabinetry or furniture. Fasteners are sized to work with standard 3/4 in. drawer fronts and cabinet faces. Installs easily for an instant, noticeable change. Tower Knob, 1 per pkg is rated 4.8 out of 5 by 6. Rated 4 out of 5 by DBMA from Product was great. Handles are perfect size for little hands and do not stick out too much to cau... Product was great. Handles are perfect size for little hands and do not stick out too much to cause a danger for children walking by. Material and texture is well made. I would recommend it! Rated 5 out of 5 by nnnn from Also works as a key hook Was looking for a decorative hook to hold keys/items in our mudroom but wanted something nicer than a basic hook. This knob works great turned upside down as a keyring hook. The knob is big enough to have some size, but small enough for a key ring/carabiner to fit around. Rated 5 out of 5 by Richard from Very nice drawer pull I did not use them as intended. I inverted them and used them on a key holder that I made from pallet wood. They are very nice quality and finished of a piece that has received many compliments from guests at my house. Rated 5 out of 5 by Patrzyk from Thie product has great features Beautiful finish and a very versatile knob in contemporary remodels or new build. Rated 5 out of 5 by NewBathroomsGuy from Look great and work well Bought these for cabinets in two bathrooms. They look good and have a very comfy recess for your finger when pulling the cabinet or drawer open. Very nice! Rated 5 out of 5 by johnmygvllc from over all good quality works well with our existing knobs liked the finish of the product.